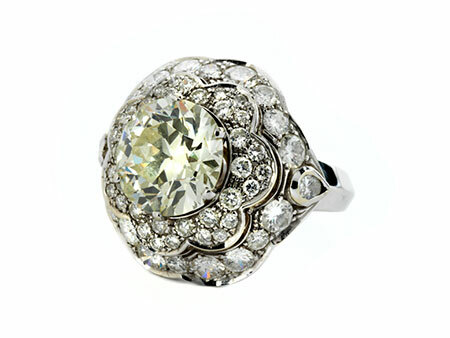 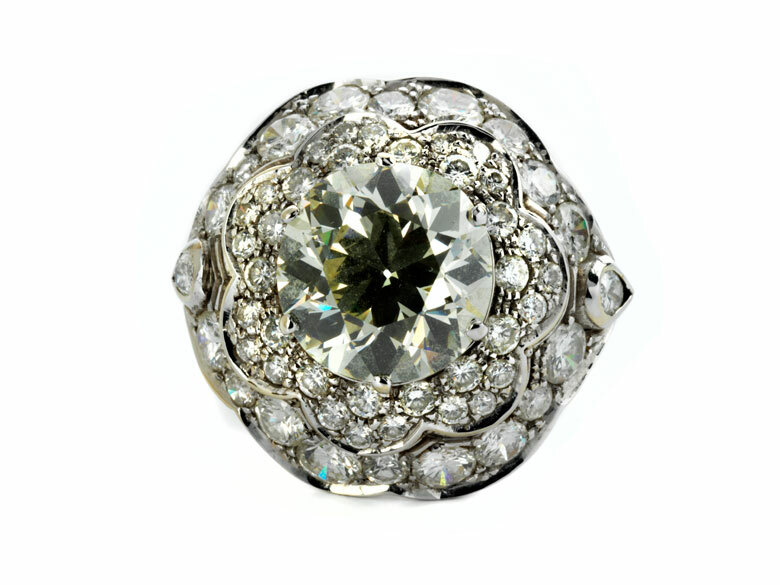 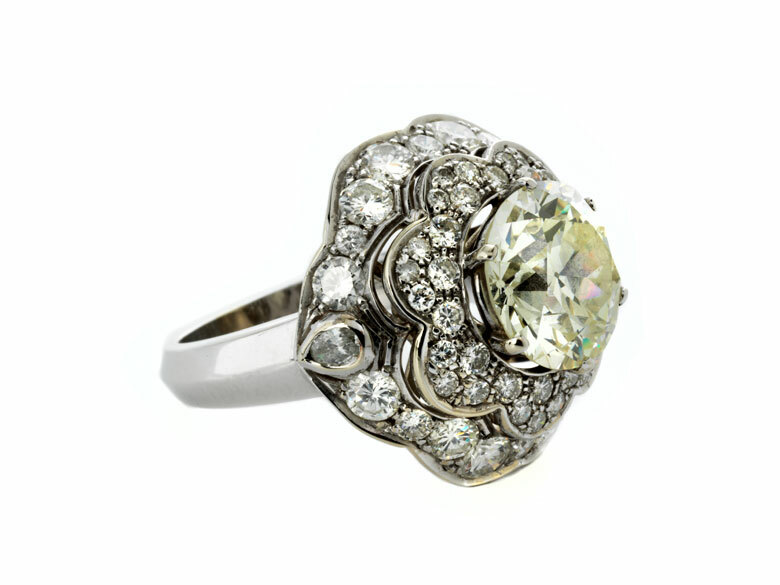 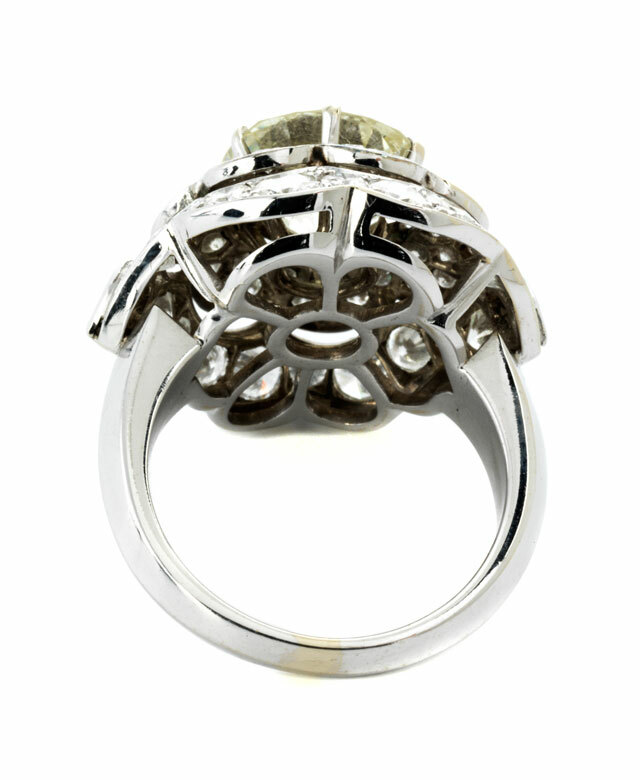 Magnificent blossom ring with central old-cut diamond, ca. 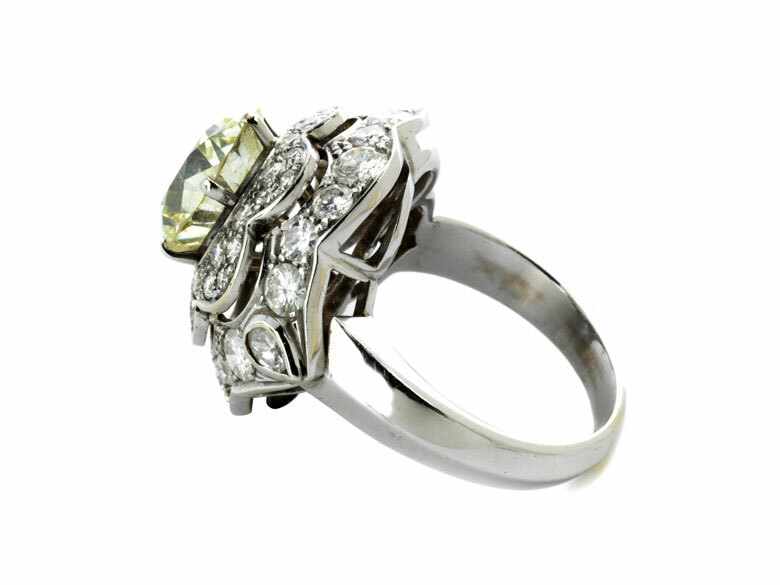 4.1 ct L-M/ VS, with a surround of brilliant-cut diamonds, totalling ca. 2.3 ct.